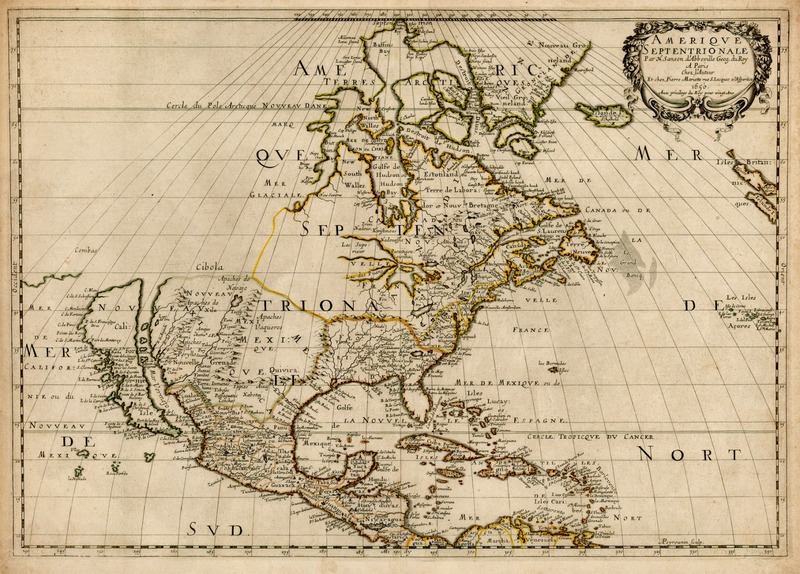 For centuries, explorers entering the Stolen Lands from Brevoy to the north encountered the same difficulty: compasses would turn randomly, geographical features would move or completely disappear and previously rendered maps would be utterly useless. Some of this was blamed on the Sellen River shifting its banks over time, but most of the phenomenon could not be easily dismissed. Capricous fey, Azlanti or Thassalonian magic were each, in turn, blamed. The effect was centered mostly on the region bounded by the cities of Restov, Mivon and Pitax - the heart of the Stolen Lands. While individuals or even armies could pass through the affected area with little mishap, the inhospitable mapping conditions rendered the settlement of this area impossible. About fifteen years ago, everything changed. Coinciding with the disappearance of one of Brevoy's major houses, whatever enchantment lay upon the Stolen Lands weakened enough such that accurate exploration and settlement of at least its periphery was possible for the first time in centuries. The above is not canon, but it is a convenient in-game explanation for the obvious discrepancies between the provided maps of Brevoy, the Stolen Lands and Iobaria. The problems with the three maps. The Kingmaker AP contains three maps drawn by three different artists. These three maps are Brevoy, Iobaria and the Stolen Lands hex map. Three other maps of the area have been produced: the map of Brevoy and the River Kingdoms for the Inner Sea World Guide and the map of the River Kingdoms for the Guide to the River Kingdoms. 1) The area around Rostov and the Shrike River. Here, the Brevoy and Stolen Lands maps overlap but the Shrike River deviates significantly from its course. On the Stolen Lands map it heads due east. On the Brevoy map it turns north quickly to a large lake. 2) The border between Brevoy and Iobaria. This border (particularly at the northern coastline) doesn't match well at all. On the Iobaria map in particular the continuing coastline flies off in a random direction in the fashion of the early maps of the New World. 3) The size and tilt of the Stolen Lands. Truthfully, the stolen lands would fit in a lot easier if they were but a little smaller and oriented slightly differently. As it is, the bottom left corner contains part of Pitax and the bottom edge is Mivon. At times, the top edge could be in Brevoy. All these overlapping areas wax and wane depending on how you orient and scale the stolen lands. In previous attempts to rectify these areas I tried to fit the three pieces together as best I could using only my eye as guidance. That met with some success and the final results weren't too awful. This time, however, I tried a new tactic. Knowing that I would be expanding beyond Kingmaker I decided to use the Inner Sea poster map as a base map and fit all the other maps to it. I felt this would provide some uniform stability to the entire area. Previously, as I tacked on nation after the nation the accumulated errors compounded. By the time I reached Varisia I had some serious errors. The stolen lands oriented on top of the Brevoy, River Kingdoms and Iobaria maps. My first step was to take the map of the Stolen Lands and scale it to the Inner Sea World maps. Once that was complete, I found three points to anchor the Stolen Lands - Lake Hooktongue, Restov and Lake Silverstep. Where I had to make concessions, it was usually with Lake Hooktongue. This is because I suspect Lake Hooktongue's borders shift as the flow from the Lake of Mists and Veils increases or decreases. As a general guideline I decided that if a place on one map was more settled, i gave its features precedence over that same place on another map that wasn't as settled. As you can see, the bottom left corner of the Stolen Lands actually reaches the Pitax River. I can arm wave that away by saying that the maps are off (darn fey!). I considered the map 'fitted' when the forests, mountains, rivers and lakes more or less lined up correctly. 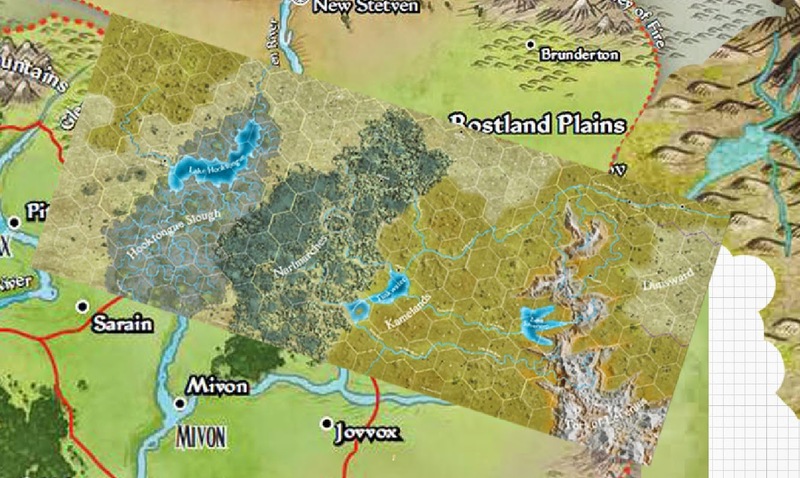 In the end the Stolen Lands wind up being a bit smaller than we realize, Mivon and Pitax are a lot closer than is first assumed and the centaurs to the east have a whole mess of terrain that wasn't mapped by anyone. The only other major change was alter the course of the river going east from Jovvox to parallel the rivers to its north (the Little Sellen and the Gudrin). This makes sense both geomorphologically and 'historically' as the fey would also be active there. Since that part of the River Kingdoms was not claimed by anyone I concluded the mapping there was sketchy at best. One of the enduring questions I have is.. how does that river end? It looks like it goes through a gap in the mountains. Maybe it drains the centaur valley? That would make some sense as the Shrike doesn't rain it and there are still another set of mountains to the east separating the centaurs from the sea. So what do you tell players after all this? Hand out the official maps and let them figure out that they have discrepancies. If you'd like, put dates on the maps and authors. Make the authorship vary in time by at least a few decades and maybe a couple of centuries. We live in a world with sub meter GPS accuracy - they don't. A little inaccuracy never hurt them so long as the GM has a master map. You wouldn't happen to have a copy that doesn't have a campaign kingdom on it already? Yeah.. I actually don't have that version of the map any more. Shortly after this, I decided to focus on the Kingmaker AP and redesigned the lands east of the Dunsward. Those mountains are all gone. Sorry!